"I'm not religious," countless people have told me. But when I ask them what they mean by “religious,” they respond with the fundamentalist bastardization of what it means to align your life to the Divine. When we talk about religious belonging in America, we need to be careful about what narratives we buy into. Americans aren’t rejecting God, they’re rejecting harmful religion. A recent report from the Public Religion Research Institute (PRRI) sheds light on a misunderstood trend in American religious life: the growth of “unaffiliated” Americans and the decline of Americans self-identified Christians. The "nones" now represent a quarter of the entire American population and are the single largest religious group as defined by researchers. Fundamentalist preachers and right-wing pundits cite these trends to decry America rejecting God. But even as America has become less affiliated religiously, belief in God has remained stable. Among the religiously unaffiliated in America, Pew reports 97 percent believed in God in 2007. The same percentage still believed in God in 2014. Pew finds that 59 percent of Americans say they feel a deep sense of spiritual peace and well-being at least once a week, while 46 percent report often feeling a deep sense of wonder about the universe. Both of these measures of spiritual well-being are up 7-points over seven years ago, and religious nones contributed to this rise. So what’s really going on? PRRI’s research on millennial and LGBTQ Americans presents unique insight into America’s changing religious identity. Americans aged 18-29 are the leading source of the religious disaffiliation trend. Thirty-eight of my generation claims no religion. Another statistic that stands out: Nearly half of LGBTQ Americans are religiously unaffiliated, twice the level of the general population. Millennials and LGBTQ Americans have a unique understanding of religion in America. We have been presented with bad religion. Fundamentalism and the "religious right" crusading against LGBTQ and reproductive rights have defined religion in America for us. Meanwhile, many Americans within the LGBTQ community understand religion in a particular way: being excommunicated or shunned from the traditions we were raised in. "Despite the religious right’s dominance on our religious imagination, I’m not giving up on my faith, my belief in God and the inherent dignity given by God to all people." Religion in America looks little like the Golden Rule and much more like Westboro Baptist Church. Can you blame a generation that embraces LGBTQ rights and feminism to largely not want any part of fundamentalist religion? First, the religious right mobilizes (originally in response to desegregation) and asserts itself as the only legitimate religious voice. The recent “Nashville Statement” fits in this tradition: not only is the religious right opposed to LGBTQ rights, supporting LGBTQ rights to them equals heresy. Second, the media reports endlessly on the religious right’s activism, and it dominates the cultural conversation on religion. Progressive people of faith have been systematically excluded from our public discussion of faith in America. Finally, Americans reject this understanding of God and religious identity, thus further cementing the religious right’s stranglehold on the public’s religious imagination. I’ve spent my entire life in progressive churches and graduated from a progressive seminary, but I even find myself immediately skeptical of overt religious displays because of how much our culture equates them with conservatism. On many days, I’ve veered close to the edge of rejecting religious identity myself because of the harm done in the name of religion. Progressive faith communities have been so scarred by the Religious Right’s dominance that many don’t have effective outreach programs. Progressive people of faith fear being associated with hateful “religious types” to such a degree that many don’t want to be socially identified with them at all. Despite the religious right’s dominance on our religious imagination, I’m not giving up on my faith, my belief in God and the inherent dignity given by God to all people. It’s time for a new narrative about religion in America: Americans of good faith reject bad religion. This understanding of religion is congruent with the research on religion and what I’ve experienced in my own life. The “nones” might not be done with religion if there were good options for religious belonging and the media took away the megaphone from fundamentalists. In the past few years, I’ve seen a new boldness from progressive people of faith who refuse to accept the media and fundamentalist’s framing of religion. The “religious left” is challenging the Trump administration and the religious right in new and exciting ways. 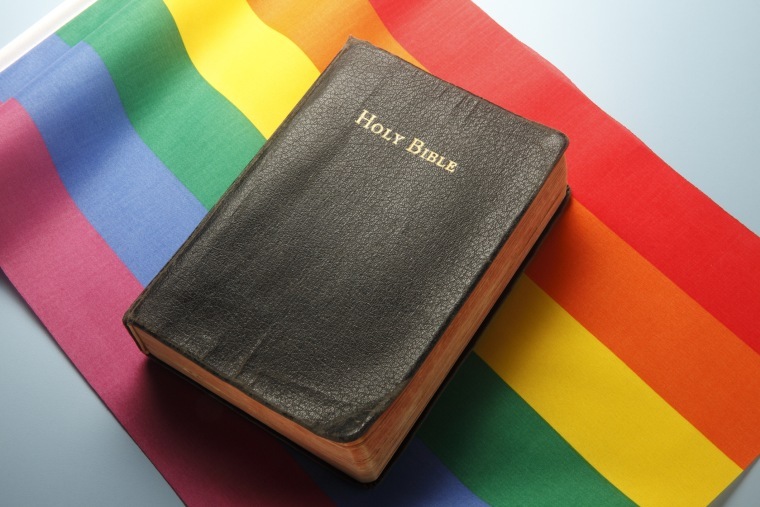 The “mainline” Protestant denominations are finally emerging from decades of debate over LGBTQ rights and moving forward in a progressive direction. Pope Francis has ushered in a new day and appointed new leaders to move Catholicism’s public witness in a positive direction. Progressive people of faith have been on the front lines of the racial justice, environmental justice and immigration justice movements. The data shows that Americans are leaving religious institutions, which have largely been equated with social conservatism in our culture. We've been subjected to bad religion, and rightly rejected it. I still believe we can expand our religious imagination and move in a bold, progressive future. Only then will religion will be something worth checking out. Guthrie Graves-Fitzsimmons is a religion writer based in Louisville, Ky. He is also the creator of The Resistance Prays, a daily email newsletter to equip people of faith to spiritually and politically defeat Trumpism. Follow him on Twitter @guthriegf.